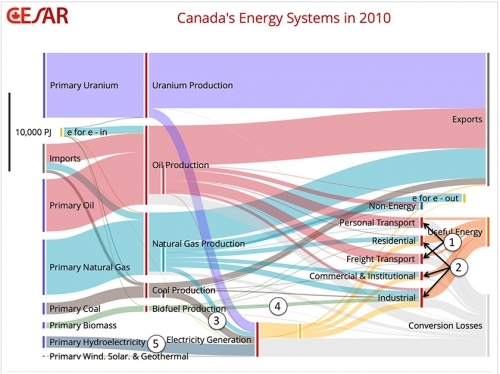 Featured on the Canadian Energy Systems Analysis Research (CESAR) blog is the below Sankey diagram on Canada’s Energy Flows in 2010. The article reports about a new model called ‘CanESS’ (Canadian Energy Systems Simulator) developed by Technologies Inc. and the University of Calgary. 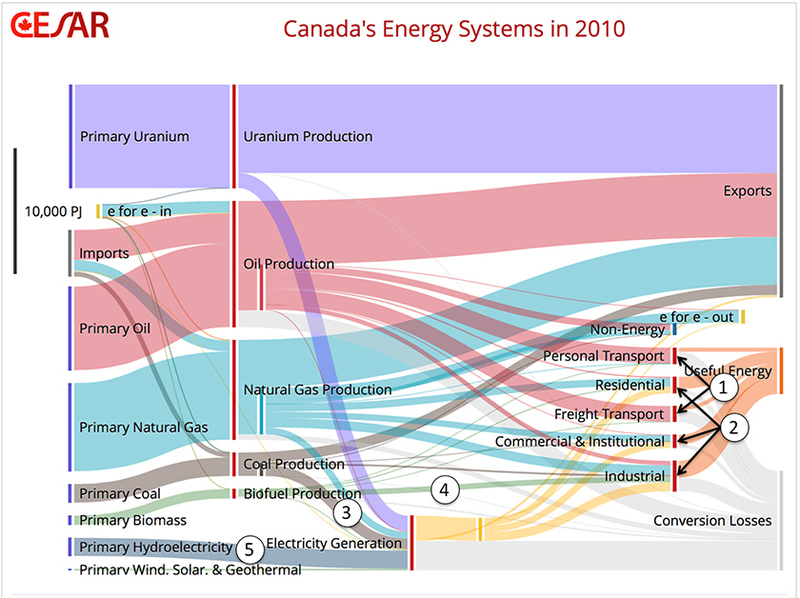 Pulling together data from different sources the tool can visualize energy flows as Sankey diagrams. Read the full article by Ralph Torrie on “the big picture” here. There is an interactive version that allows you to choose the year (1978-2010), to break down the data onto each Canadian province, or change the unit. Try it out!